Programming includes trend forecasts, CEU-accredited seminars and industry networking. 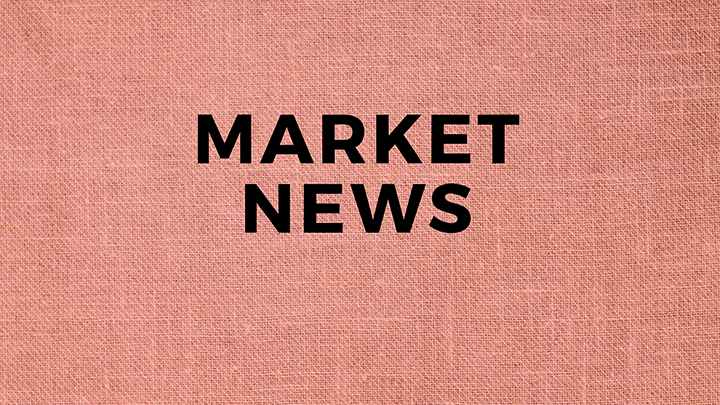 Las Vegas Market announced today an exclusive lineup of programming for the 2019 Las Vegas winter market, offering buyers, designers and retailers opportunities to connect with peers, become educated on the latest industry trends and earn CEU credits. Winter market runs Jan. 27 – Jan. 31, 2019. For the complete schedule of seminars and events, visit www.lasvegasmarket.com. Highlights of trend forecasting programs this winter include Las Vegas Market’s proprietary FIRST LOOK trend forecast. FIRST LOOK will highlight four central themes - ARCTIC, DESERTSCAPE, ADORN and ¡FIESTA! – in a curated display, educational seminar and at-market resource guide. The seminar, which is tailored to the needs of today’s cross-category buyers and lifestyle stores, will be held from 10-11 a.m. on Monday, Jan. 28. New FIRST LOOK tours have been added this market to showcase these trends in home furnishings and gift/lifestyle products. Co-sponsored by REstyleSOURCE, Las Vegas Market’s signature Best of the West program will feature a panel of curated taste-making influencers and designers who will discuss West Coast Life and Style. The program will take place from 3-4 p.m. on Monday, Jan. 28, and will include Wendy Blackband of Blackband Design, Laura Umansky of Laura U Interior Design, Lindsey Borchard of Lindsey Brooke Design, Amy Bartlam of Amy Bartlam Photography and Lexi Westergard of Lexi Westergard Design. The panel discussion will be moderated by Kelli Lamb, Managing Editor of RUE Magazine and Mandy Mortimar, Publisher of RUE Magazine. Winter market will feature an exclusive slate of networking receptions and industry award events. Network receptions include the Non-Profit Retail Networking Reception, in collaboration with the Association for Healthcare Volunteer Resources Professionals (AHVRP), Museum Store Association (MSA) and Zoo & Aquarium Buyers Group (ZAG), from 5-6:30 p.m. on Sunday, Jan. 27. Industry awards events include the 14th annual Las Vegas Market Design Icon Award ceremony from 1-2 p.m. on Tuesday, Jan. 29; the 2019 Housewares Design Awards, presented by HomeWorld Business, from 5-7 p.m. on Tuesday, Jan. 29 and the 2019 WOW Awards Dinner from 6-9 p.m. on Jan. 27. This winter, Las Vegas Market will feature several key educational sessions, including How to Set Client Expectations & Keep Them, and You, Happy with industry expert Gail Doby of Gail Doby Coaching & Consulting from 2-4 p.m. on Sunday, Jan. 27. A networking reception will follow the presentation. Another relevant seminar is the Focus Your Product Selection for Profitability presentation with Andrew Andoniadis of Andoniadis Retail Services. Additionally, real estate investing and renovations will come to life with Desert Flippers Live, featuring Eric and Lindsey Bennett, from 11:30 a.m. - 12:30 p.m. on Monday, Jan. 28. Las Vegas Market also offers a range of buyer amenities to enhance the overall shopping experience. Highlights include fully-equipped lounges for buyers and designers, a Press Center for credentialed media and a dedicated International Buyers Lounge. Onsite hospitality includes morning “grab-and-go” breakfasts Sunday through Wednesday in the Courtyard and The Pavilions; complimentary “Happy Hour” bars in the afternoon and cocktails in the Grand Plaza Courtyard in the evening; and nightly entertainment and after-parties at various nightclubs. Las Vegas Market also offers a campus shuttle and complimentary shuttle to/from host hotels; paid onsite valet parking; buyers’ lounges; mothers’ lounges; and convenient cafe and food kiosks.